Divers normally see the stargazer as a stationary "death mask" face in the sand. 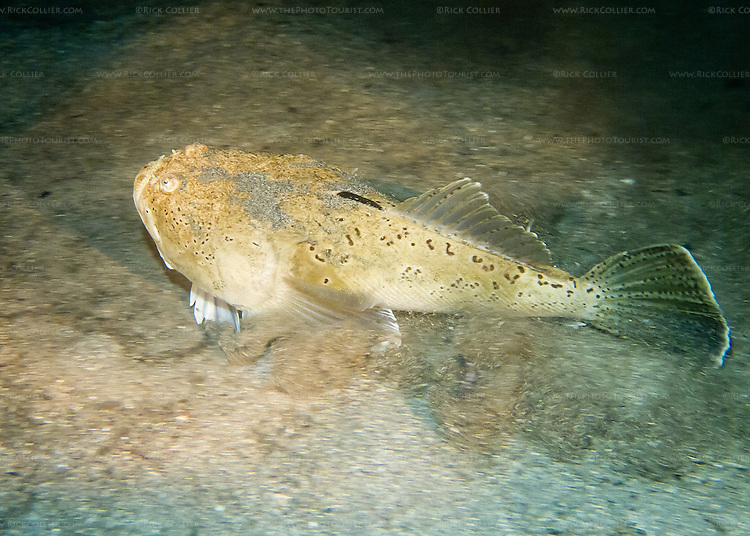 The fish is normally buried, with only the face exposed at the bottom of a small depression in the sand. The fish prefers to be stationary, relying on being motionless in the sand to stay undetected and unthreatened. On this night dive we startled one; he must have been insecure in his sandy hiding place, because he suddenly bolted to change his hiding place as we hovered over him.